To begin as I mean to go on, it’s important to point out that what you get from this album, when you listen in full, is nothing short of a beautiful and thought provoking trip. From the initial few seconds of listening to June Is The Coldest Time, the sense of what this will all be about is as clear as it is unpredictable. These dream-like, abstract songs, which have been woven together with intense yet gentle synths, and a voice so soft that it haunts you, present an eclectic and evocative array of music that will leave you willingly addicted to what it is that the artist creates. Alien Skin is the brain child of a man who is no stranger to creativity and musical expression. This album is a deeply beautiful collection of music that strongly deserves a real dedication to listening intently. Play it in the car, play it through headphones, play it among close friends – whatever the choice; play it loud, and let it change the way you feel for the better. 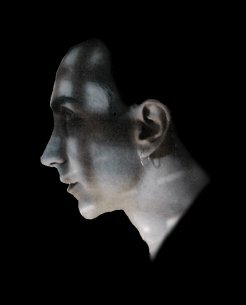 Unlike a lot of recent electronic albums of a similar sort of mood, the artist here appears to have taken every moment of every track as something crucial to the expression of the music. Each element has been specifically considered and chosen with a greatly unique approach, and so, the result is unlike anything you’ll have listened to lately. I Love Art Deco, for example, opens up with these very gentle, electronic orchestra tones, which could be mistaken for sounds used elsewhere in music, until you really listen. The sounds are intensely beautiful, and genuinely, creatively new, and this is noticeable with every step you take through the project. The song that follows this introduction in I Love Art Deco is also one of great substance, the vocal surrounds and soaks into you, the effect of that melody is heightened by these delicately selected sounds, and so the overall effect is just outstanding. To continue thinking about song writing, as opposed to musicality, All Tomorrow’s Cares is another one of outstanding substance. The music is all encompassing; if you’re listening, that’s all you’re doing right now. The experimental nature of these songs is pleasantly reminiscent at times of the song writing style of David Bowie, and on occasion, the mellow, less rap-heavy tracks from Faithless’ earlier days. But that’s about the start and the end of comparisons. This music, this song in particular, is so gentle, and technically quite minimal, yet when you turn it up loud – a result enhanced by flawless production, a perfect mix, it has to be said – the whole soundscape takes over you. It’s hugely comforting, and simultaneously quite addictive. The kind of artistic, abstract piece of music that you can completely lose yourself to, escaping from your troubles and letting the sound guide you to somewhere far more peaceful. Platinum Good Looks continues to highlight the skillful songwriting that exists alongside this expressive musical bliss. It’s unusual to find an album of this nature, that allows you drift off into your own little world, whilst at the same time leaving you with lyrics and melodies swirling around in your mind. It’s a fantastic combination of the two worlds, the two alternate results of effective music. As you get further into the album, there are even moments of uplifting joy that come quite unexpectedly. Prettiest Flower takes things in a brand new direction, making it clear that this album is a journey, a series of events, within which any and all emotions are likely to be touched upon. Of course, the direction may vary, but even after just two or three tracks, this sound becomes familiar; that voice is hugely memorable, as is the overall style of this music. It’s highly likely that listeners will seek out further projects from Alien Skin after having indulged in this one. Sterile In Blue offers a gorgeously jazz-like, soulful piece of music, with a wonderfully written song and vocal performance really bringing it to life. I Still Think Of You brings that industrial sounding beat into the mix, adding a certain, reflective darkness, appropriately accompanied by some very honest and fairly cutting lyrics. This track surrounds you with imagery that lasts much longer than the length of the song. There’s a strangely cinematic effect to the music, whereby the art of it stretches much further than what is audible. It’s a stunning effect, and of course, superbly relevant to the title and overall concept of the project. Things get bumped up another notch for The Emporer’s Tram Girl. 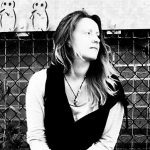 The rhythm is blissful, good vibes run out alongside the delicate darkness, and this darkness comes to a dreamy and gentle finish with the final track My Polaroid Friend (Thin White Duke). Perhaps an ode to the before mentioned artist of influence. Either way, this project is experimentally creative and exploratory at every single turn, and it’s a real pleasure to get into. 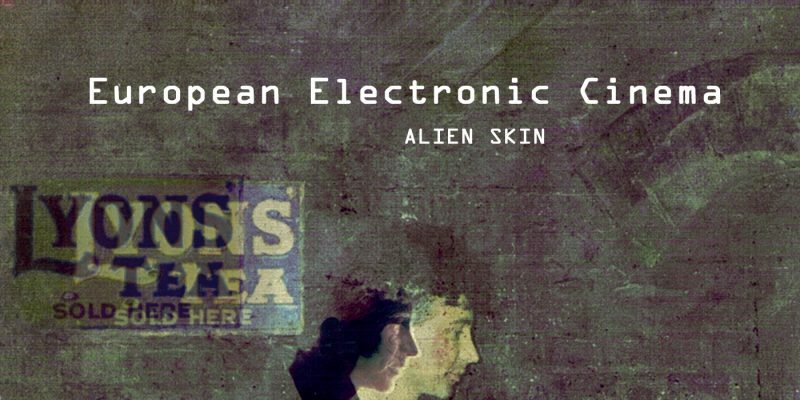 The album, European Electronic Cinema, comes out September 2nd – you’ll be able to purchase it via the Alien Skin Website, iTunes, and all the usual retail outlets. Stay updated over on Twitter, Facebook, and Youtube, and sign up to the artist’s mailing list via the Website for all the latest, plus some free music. A more than worthy way to enhance your day.